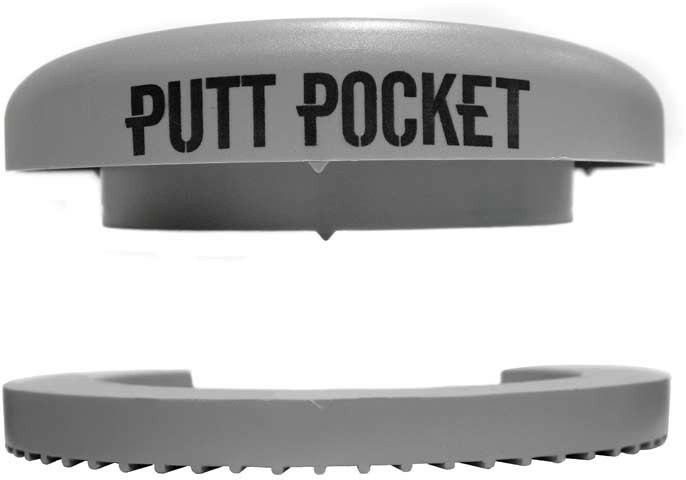 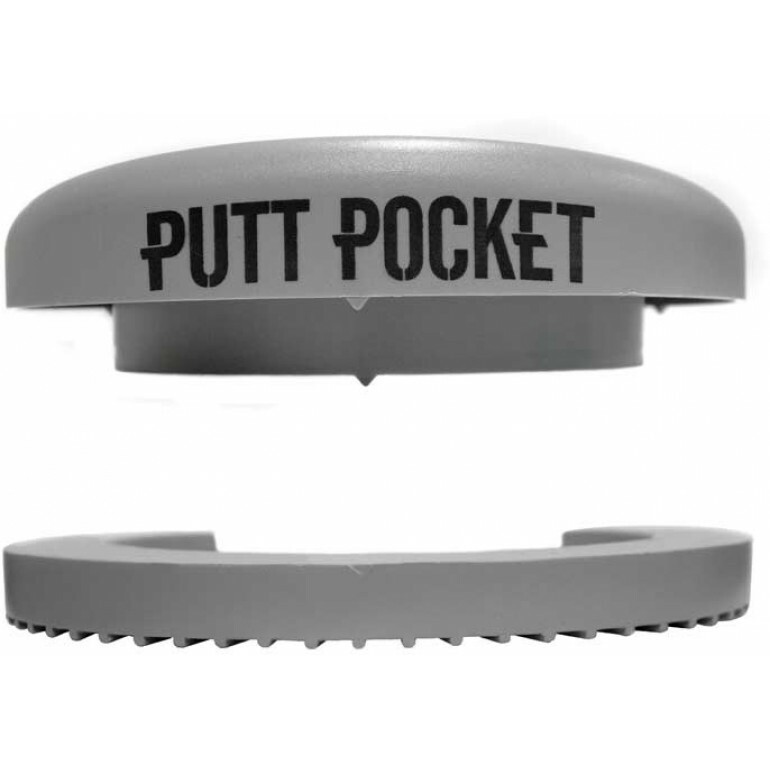 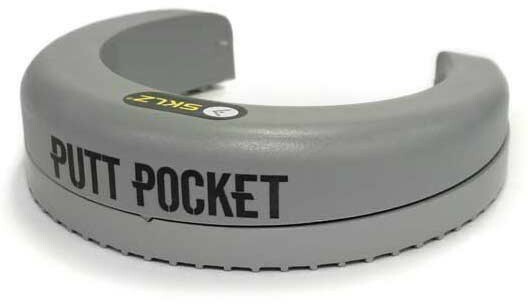 The SKLZ Putt Pocket is an indoor putting aid you can bring to the practice green. 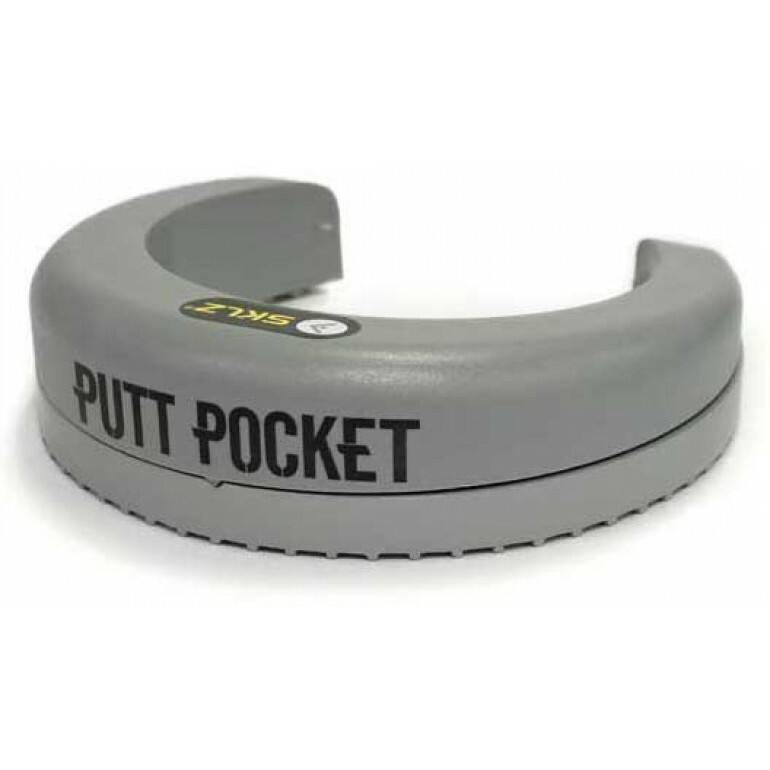 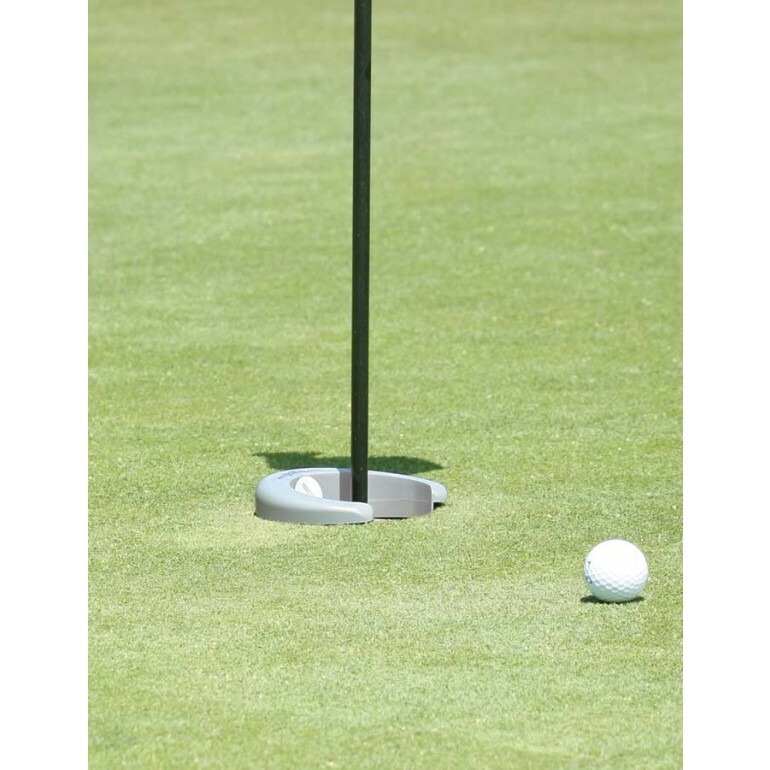 This training aid fits in a standard golf hole, and has a 2.75" opening that helps players improve the accuracy of their putting line and speed. 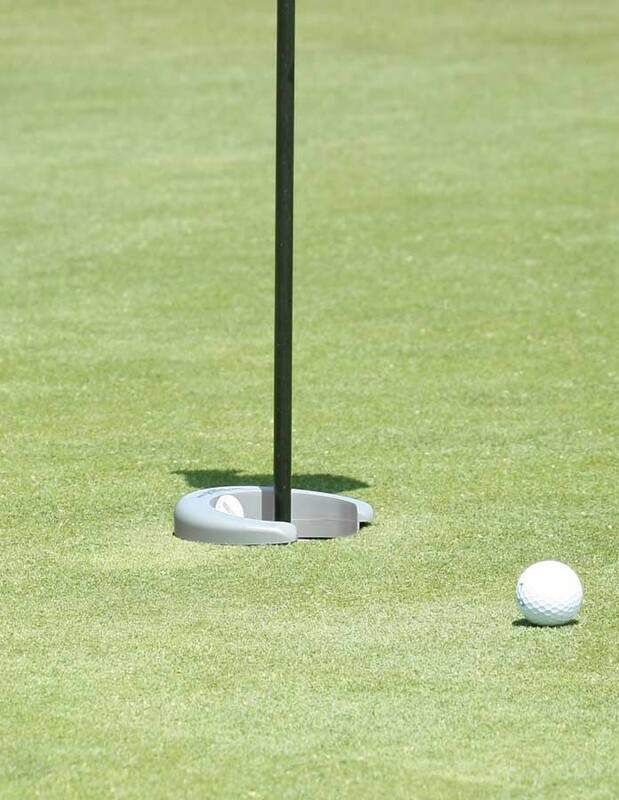 The unique horseshoe shape forces players to hit to the high side of the hole, and can be used as an extra practice cup at home.